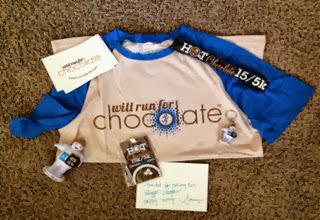 wan life to live: wanna run for chocolate? 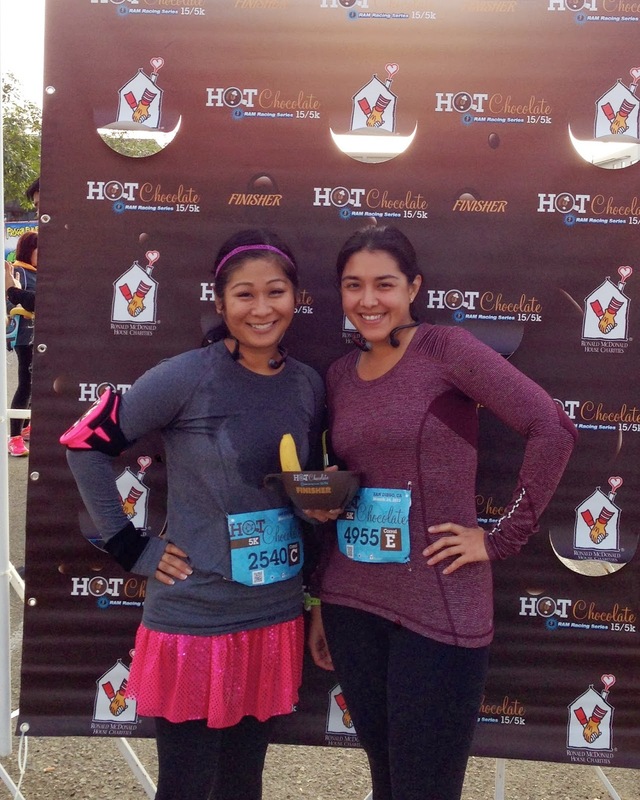 so, earlier this year kelley and i tackled the hot chocolate 5K, a surprisingly hilly course in san diego. despite the crazy elevations, we had a great time and savored the super sweet finisher's mug at the end of the race. when they announced that they were bringing the party to los angeles in the form of the frozen hot chocolate 5/10K, i wasted no time in signing up. i may be a sucker for a sparkly finisher's medal, but chocolate is hard to resist. but then with one email, my hopes and dreams of another shot at that delicious prize were smashed to smithereens. for some unknown reason, the race was being postponed indefinitely. the organizers were really on top of things though, making the announcement well in advance of race day, processing immediate refunds and offering a discount on a future hot chocolate run. they even sent out all of the goody bags that were included with registration, although i'm not really into sporting gear from a race i didn't actually run. still, it was nice to see the organizers step up and do everything they could to make it right. while prepping for the soon-to-be-rescheduled run, the hot chocolate folks had put out a call for bloggers who were interested in serving as "chocolate ambassadors." much like my role on team superhero, these folks would be tasked with spreading the word about the run using social media, blogs, distributing flyers, you get the picture. well, duh - of course i applied. i love trying to rope people into signing up for this stuff, and come on - chocolate pretty much sells itself. the l.a. race is still up in the air for now, with a vague "2014" on the site. but they're for sure returning to san diego in march, and i was invited to be an ambassador for that one. i received a fun package full of hot chocolate swag: a cute tee, headband, keychain, luggage tag, a squishy mascot toy and some stickers. by the way, you can buy some sweet swag of your own in the official hot chocolate online store. 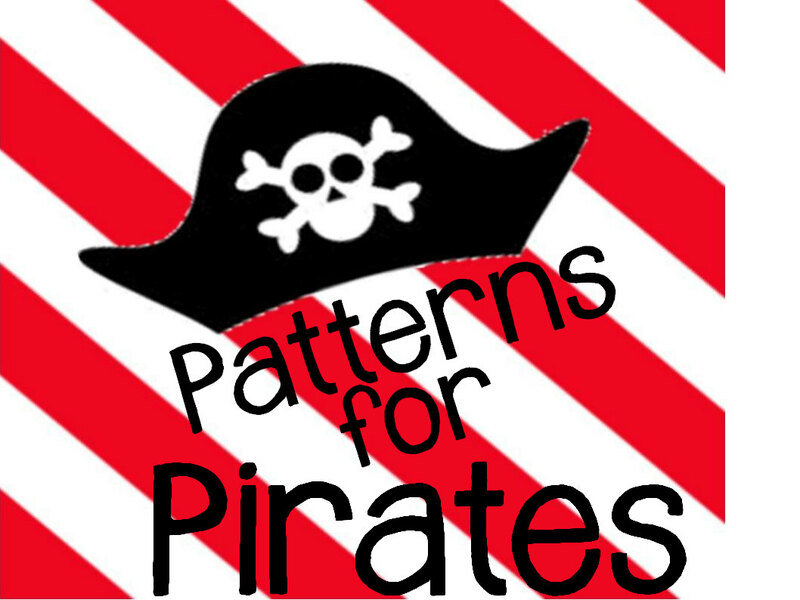 but here's the fun part: i also get to do a giveaway for a free entry! 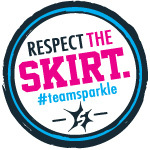 there's a hot chocolate 5/15K in cities all across the country, and this entry is good for registration in any of them. you can use each method once to enter, and you've got till next friday (november 1st) at noon PST to get 'er done. whether you enter once or all three times, please make sure you give me a way to reach you. as always, i'll be using random.org to do the drawing, and i'll post the winner the following monday. of course, if you simply can't wait to register for your local hot chocolate race, you can go straight to the website and sign up. use code WANLIFEMUG and you'll get a cute travel mug at packet pick-up. i'll be at the san diego race, so hopefully you'll win the free entry and join me. we'll take a cute picture, with or without my stupid face, and feast on delicious chocolate after we run 3.1 miles to earn it. doesn't that sound like fun? Wahoo! I'd love to run in Minneapolis! Ohh! So fun! I'd love to run this in Philly! I'd do the Hot Chocolate Run in San Francisco! I would be running in Philly! I'd love to run in Chicago! I'd run SD, duh! Let's do it! And Twitter, like a boss. Planning to run the San Diego 5k in March! I was similarly disappointed that the frozen one in LA was canceled.